Just in time for the holidays, the HRC Foundation’s Welcoming Schools program today launched its first-ever online store featuring apparel, classroom posters and stickers that will give parents, youth-serving professionals and those who support equality the chance to show the world their commitment to LGBTQ children and young people. And to kick off this endeavor, Welcoming Schools has partnered with First Book and Chronicle Books to offer educators, parents and others free copies (while supplies last and for the cost of shipping) of “A Day in the Life of Marlon Bundo,” a children’s book by Jill Twiss and presented by HBO’s Last Week Tonight with John Oliver. A free HRC Foundation Welcoming Schools lesson plan for teachers who use the Marlon Bundo book in their elementary school classrooms is included with every copy. The delightful tale follows Marlon Bundo, a lonely bunny who lives with his Grandpa, Vice President Mike Pence. 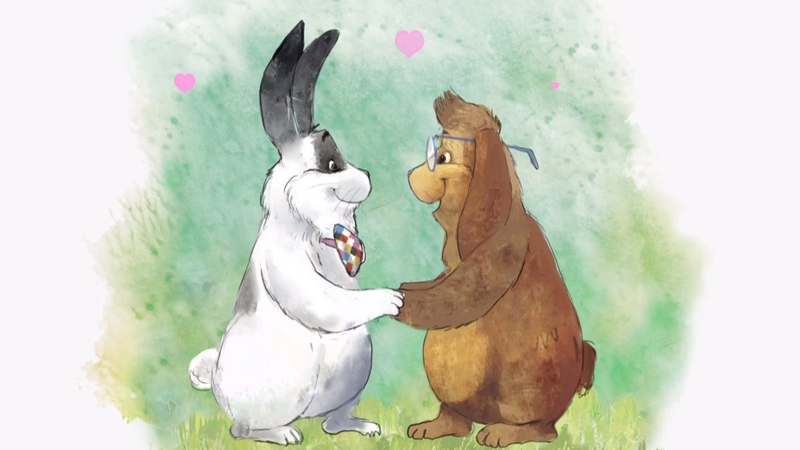 Marlon's life changes forever when this very special boy bunny falls in love with another boy bunny. With its message of acceptance, this book explores issues of same-gender marriage and democracy. All proceeds from the online store will support HRC Foundation's Welcoming Schools, the nation's premier professional development program providing training and resources to elementary school educators to welcome diverse families, create LGBTQ and gender-inclusive schools, prevent bias-based bullying and support transgender and non-binary students.